And when I was a little girl, my Grandpa had a horse named Windy Blue... I think of my Grandpa every day, especially now that I have horses. I know he would have been so excited and proud that I'm somewhat of a country girl now and especially that I love horses just as he did. 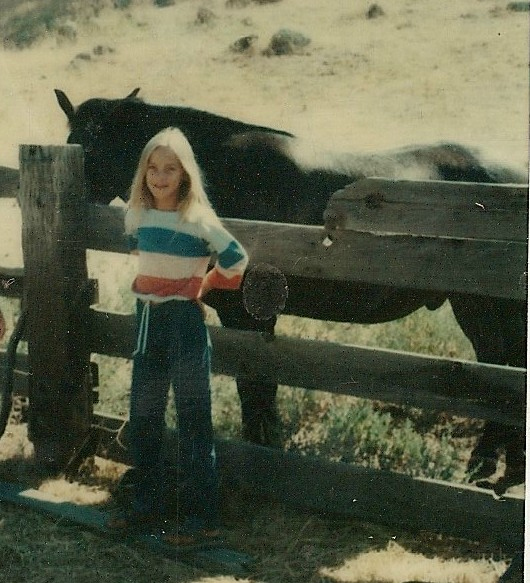 I have so many wonderful memories of our summers at Grandpa's ranch. He was an amazing man... I miss him so much. Sometimes I wish I could call him to ask him for his advice, and now that I have horses of my own, I wish I knew more about how he took care of his horses... his theories, his methods, etc. Mostly though, I just wish I could call him to tell him about Willow, what I've learned from her, and all of the miracles she's sent to me. That's me on the left riding my favorite horse, Dan. 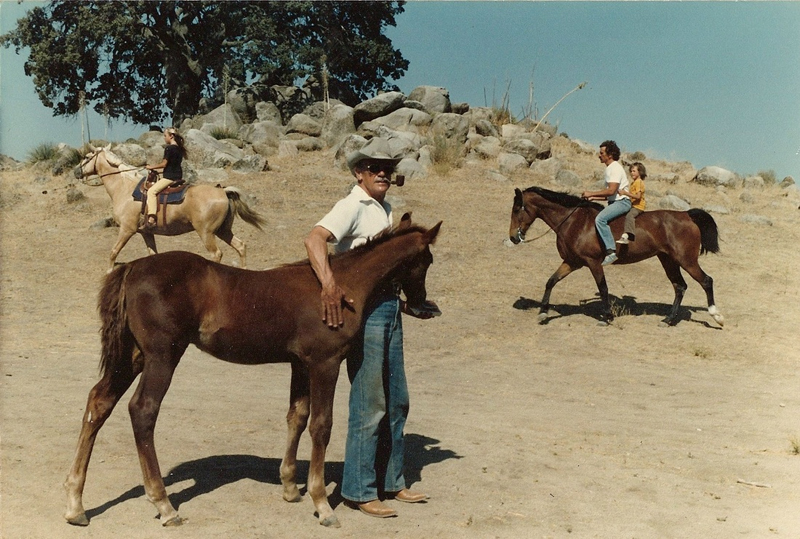 My Grandpa with the sweet baby... and my Dad and little brother riding Windy Blue. beautiful tribute. i look so forward to reading your posts. As heartbreaking as the loss of Willow was, I just knew that her story wasn't over. I am very happy that you are sharing this continuing story with us! You're gonna need another stable ! lol Those are some very lucky.... and even if they don't know it yet ... VERY loved horses!! Wow wonderful, I wish that I lived so free as you do and that I could keep horses, they are such sweet animals, well maybe someday??? I hope so. I am so shocked and amazed at this story AND Sasha looks EXACTLY like you as a kiddo!!! !